Did some work on the UI today. Did you know that Unity, Evernote and many game launchers are using the CEF framework? You might have used UMG widgets inside Unreal before, UMG is another wrapper above the slate framework. 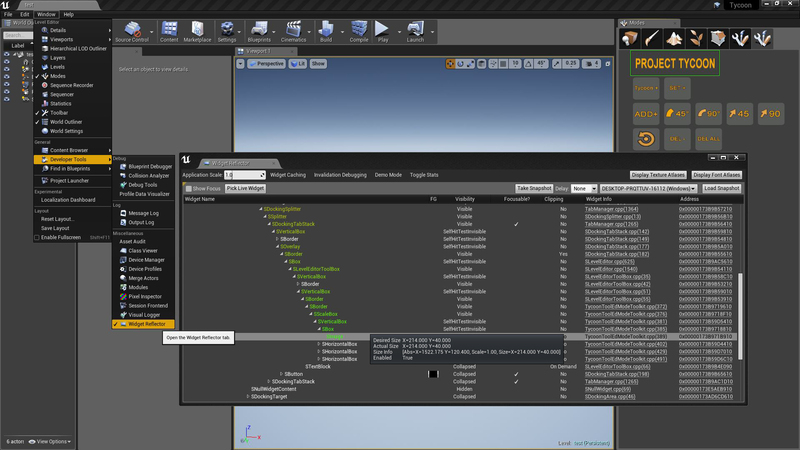 UMG widgets are made with a visual editor and are saved as binary assets in your game project. This might work fine for most simple game menus, but keep in mind that you may need to bind these events using BP to C++. That operation might not scale or perform that well for bigger projects. For my plugin I wanted to populate a new tab in the ‘modes’ window. In unreal this is called an ‘editor mode toolkit’. You can inherent your UI class from: FModeToolkit Take a look at plugin examples for editor modes. Sometimes things don’t work properly, or you are just curious about some cool UE4 button. 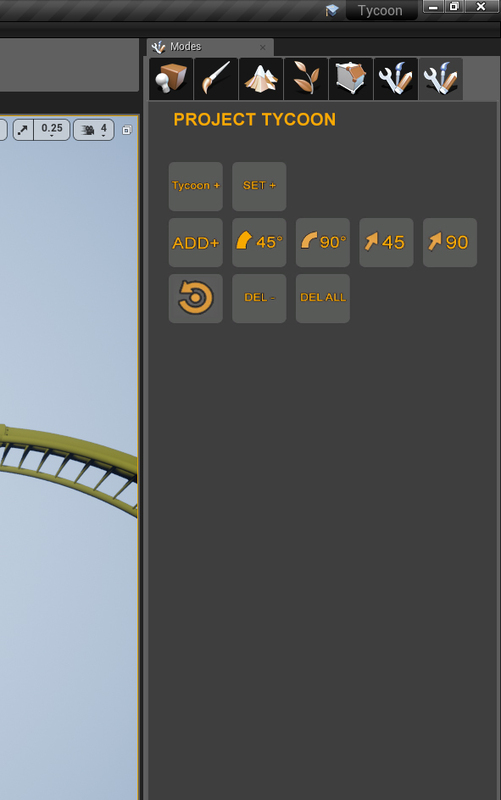 In that case you can use the Widget Reflector Tool, you can pick any widget and inspect it’s properties. Still have to learn how sliders work.